Steeped in the history of Mosman Park, Samsons Paddock has brought an exquisite dining experience to Perth. With seasonal “share” plates and an exceptional beverage list, the restaurant and bar features casual chic dining from noon until late. 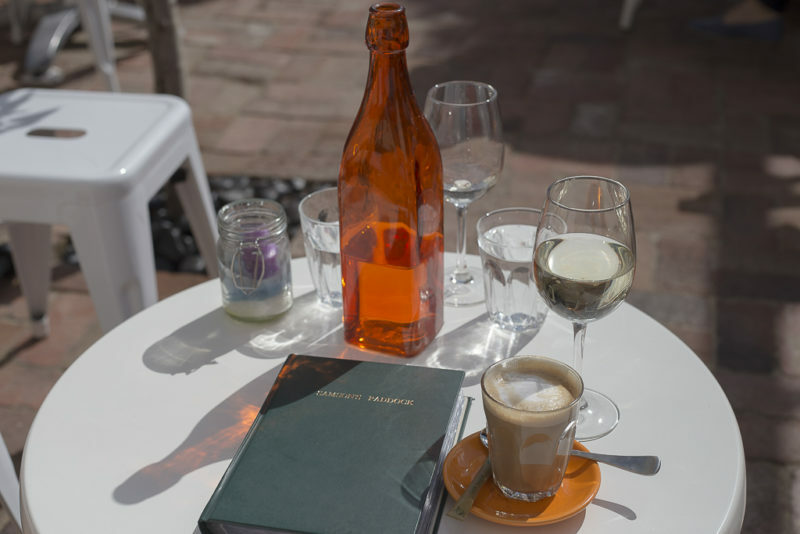 The menu at Samsons Paddock Mosman Park combines a little ordinary with a pinch of extraordinary to bring some unique dishes to your table. Ciabatta, chips, fritters, risotto, the menu shows a brilliant chef able to please any palate with prawns, olives, chicken, calamari, chorizo, lamb, wagyu, even beef cheeks and chicken livers! An impressive array of cheeses feature in many of the dishes and even as a cheese plate with warm bread and homemade tomato & basil jam. If you are vegetarian or gluten-free, there are plenty of options clearly marked on the menu. Dessert choices include Mississippi Mud Pie and Saffron Panna Cotta – again, combining comfortable and elegance very successfully. The beverage menu is really quite something else. The lengthy list of options is superbly arranged so that it is easy to find what you want. The wine selection includes an excellent variety of sparkling wines, white, red or rose wines, dessert wines or fortified wines. They have beer on tap, bottled beers and bottled ciders. There are several varieties of rum, gin, vodka, tequila, brandy, cognac and many different kinds of whisky. For those who prefer non-alcoholic options, there is sparkling grape juice, a variety of juices, soda, coffee and tea. Samson’s Paddock is poised to make the next chapter of Mosman Park’s history by way of a very welcome addition to the restaurant fare of Perth. Add YOUR photos of Samson’s Paddock Mosman Park to our online community by hash tagging #thefoodiehub on Instagram or Twitter and posting them to The FoodieHub’s Facebook page. Or write YOUR own review! Leave a comment below and tell us what you thought of your experience at Samsons’s Paddock in Mosman Park.